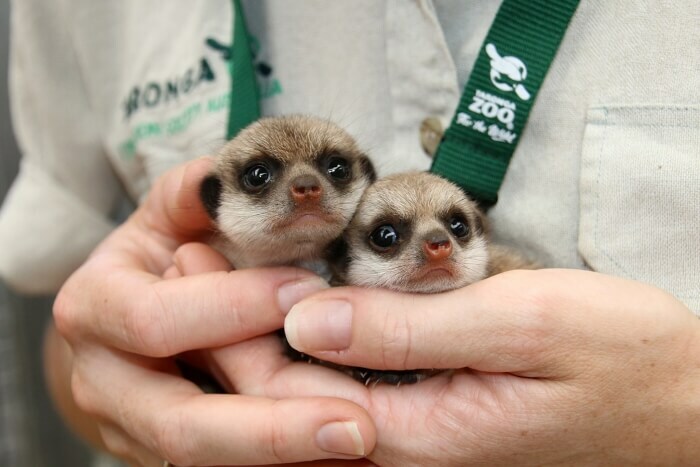 These one month old Meerkats were the first to be born at the Taronga Zoo in Australia in over six years! Here they are just starting to explore and taste solid foods for the first time like insect larvae and mealworms (yum?). They’re also practicing becoming sentries, in which one or more meerkats stand watch to protect the group from predators or other threats. 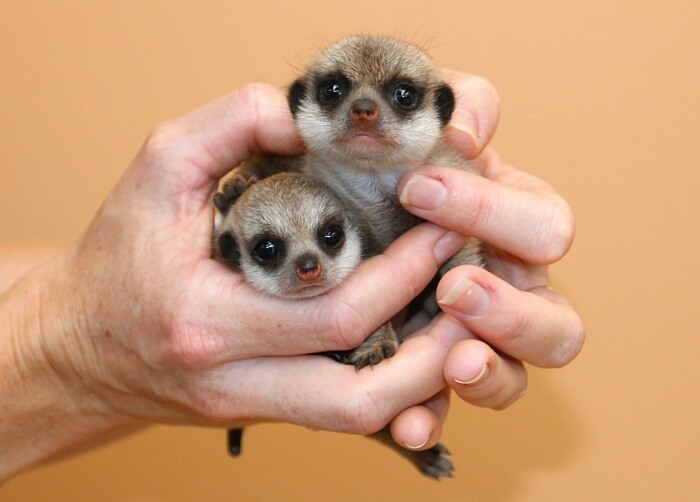 At birth they weighed less than an ounce and now they weigh in at over a quarter-pound. 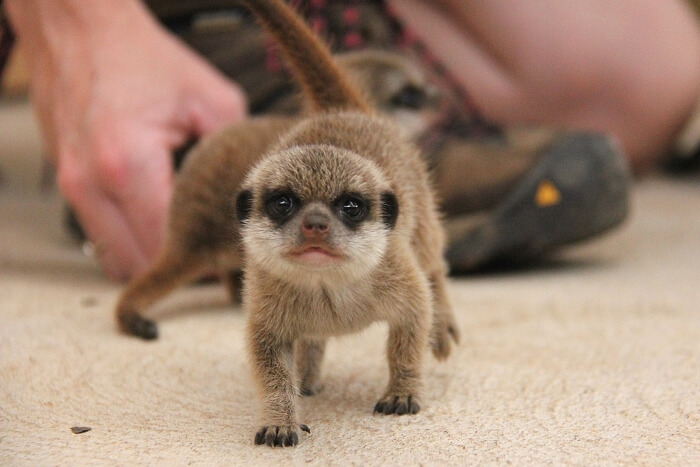 Typically, Meerkats inhabit southern Africa, particularly in the dry, arid regions of the Kalahari and Namib Deserts. 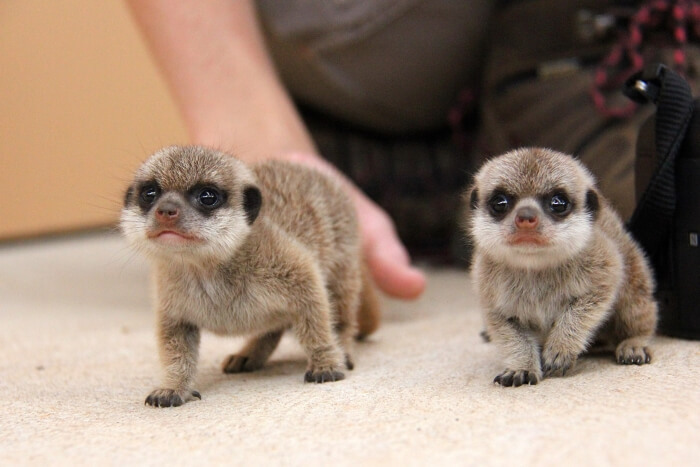 Meerkats live in clans of twenty or so members and create large underground networks of burrows. 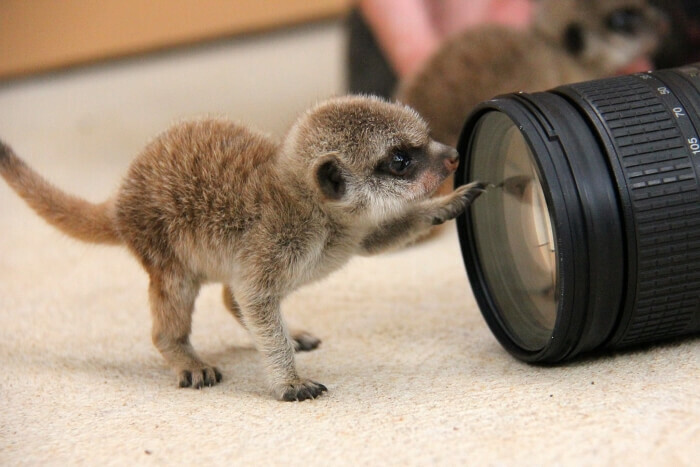 In addition to protecting the group as sentries, Meerkats also demonstrate other social behaviors like protecting the young of others and babysitting.